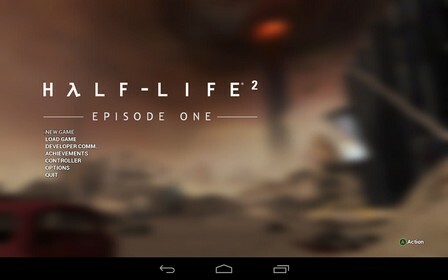 Half-Life 2 Episode One is an action game for android. 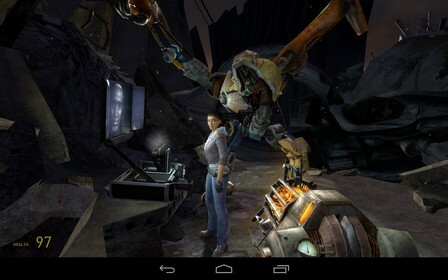 NOTE: Half-Life 2: Episode One for Android requires a controller to play and runs exclusively on NVIDIA SHIELD tablet. Half-Life 2: Episode One advances one of the most critically acclaimed and best-selling action games of all time, Half-Life 2, with new story and action. In Episode One, the player will unveil new secrets of City 17, engage in award-winning physical gameplay, and interact with stunning creatures. – A brand new episode for one of the best-selling and critically acclaimed action games of all time. Reveals new secrets. – Incredibly advanced Artificial Intelligence powers the most sophisticated characters ever witnessed in a game. – Physical Gameplay: Objects obey the laws of gravity, friction, and buoyancy. Explore new uses for the physics cannon. – Powered by Source and featuring High Dynamic Range (HDR) lighting, Aftermath provides amazing gameplay settings. its best ever for me!!!!!!!!!!!!!!!!!! The revdl is The BEST site to download games. Thank you for making this site. the game can play android phone ? Comment of the year. ? this is the best Android site all. Thank you for this incredible game. http://www.revdl.com is the best site for games ever!! !